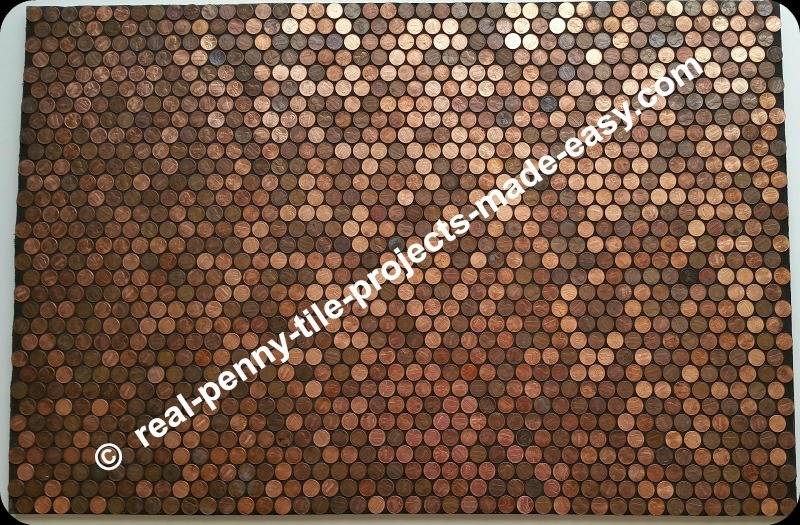 This page (black grout on real penny floor/wall) is Part 3 of our sample installation project using pennies as tile. 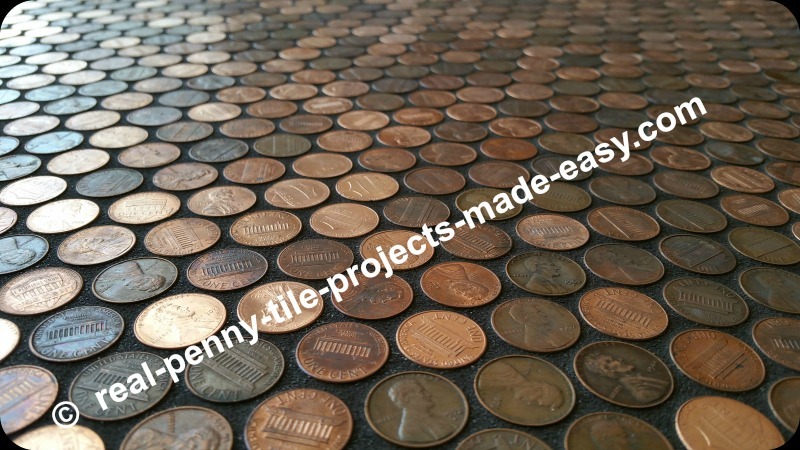 If you've just landed here from Google or another search engine, please start in Part 1 (covering a floor/wall with pennies). 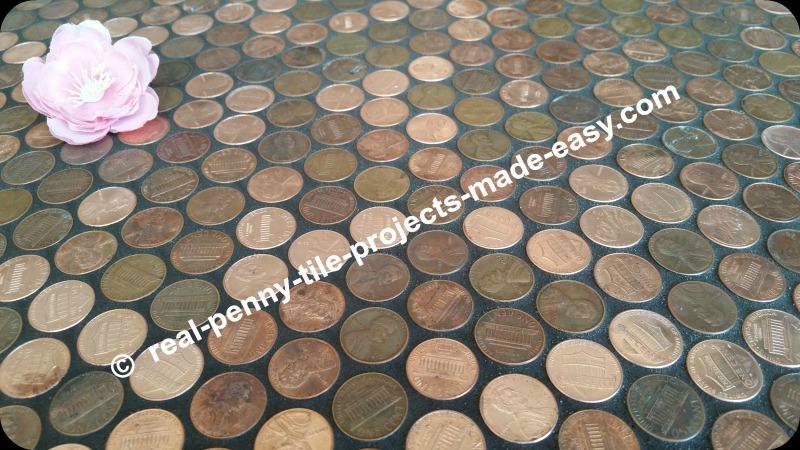 Black sanded grout and pennies. 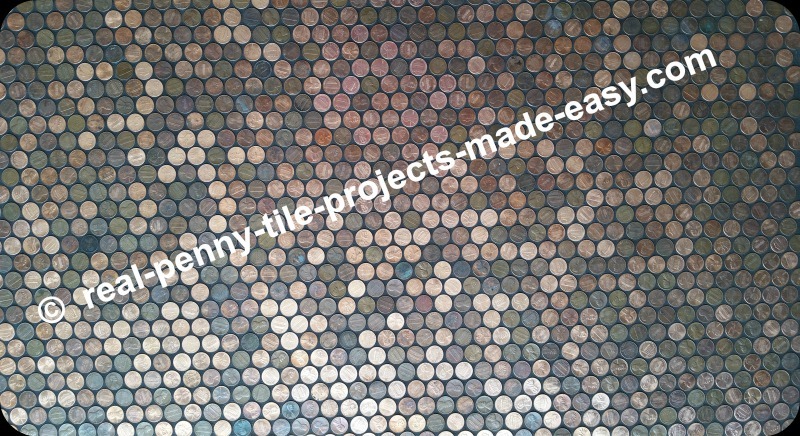 Close-up of black sanded grout and random pennies. 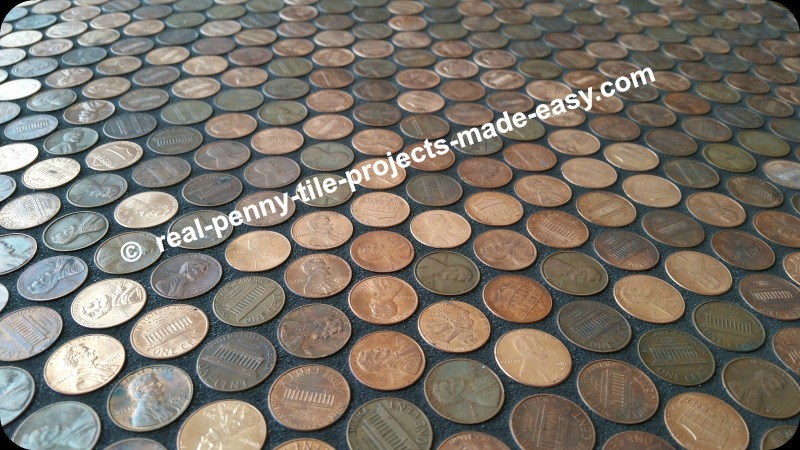 How Many Penny Sheets Do I need? 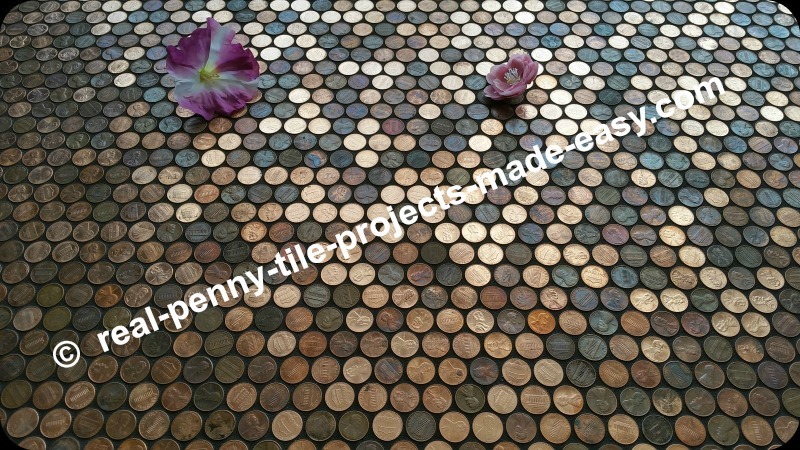 We hope you enjoyed the penny pictures and information provided in the 3 parts. 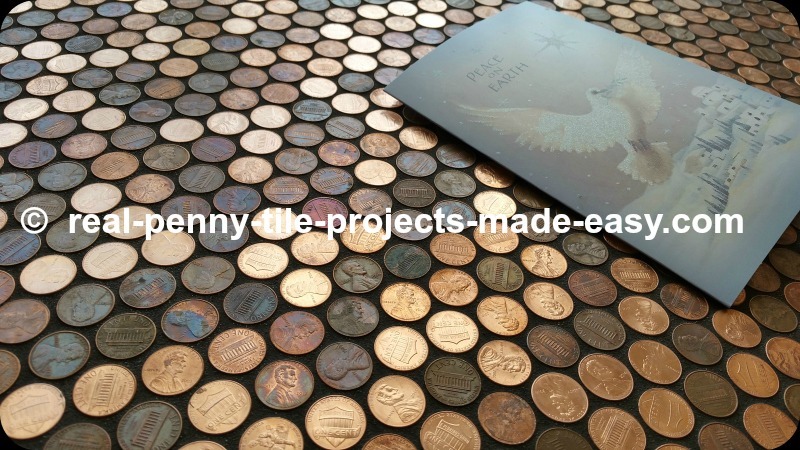 Planning your own penny project already? 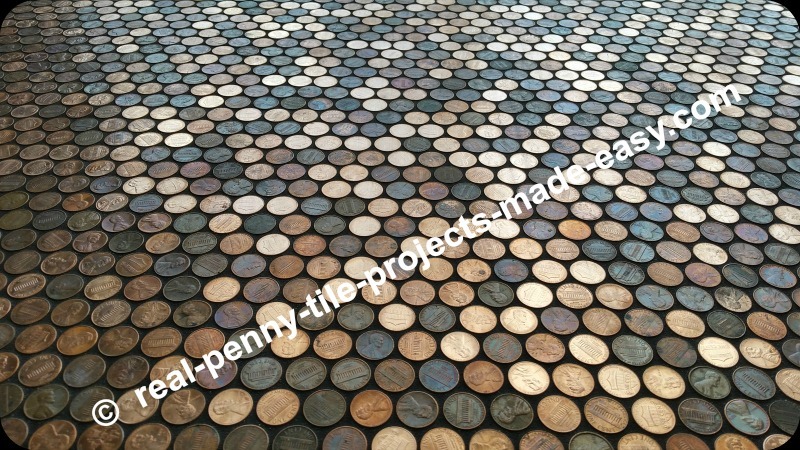 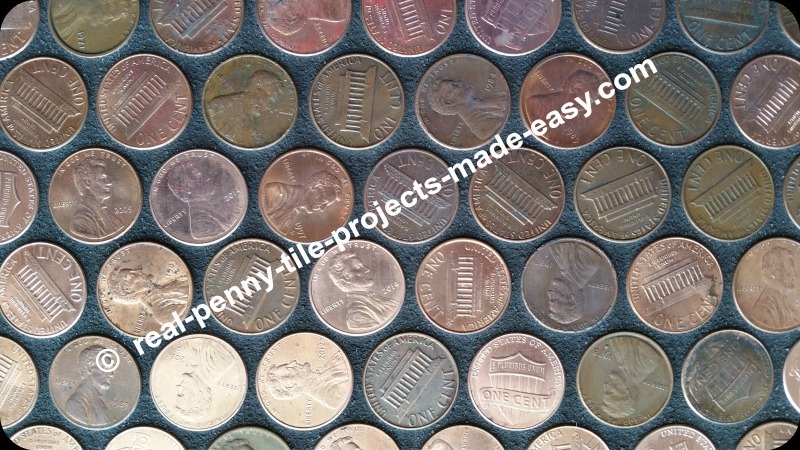 See detailed information about the tile sheets of pennies on mesh.